Google Keep is one of the most overlooked tools that students and teachers can access through their G Suite accounts. It can be used for bookmarking, writing notes, annotating images, sharing task lists, and creating reminders. I use the reminders function every day. The reminders function in Google Keep can be helpful in working toward creating and or maintaining a habit that will help you reach your goals for the new year. 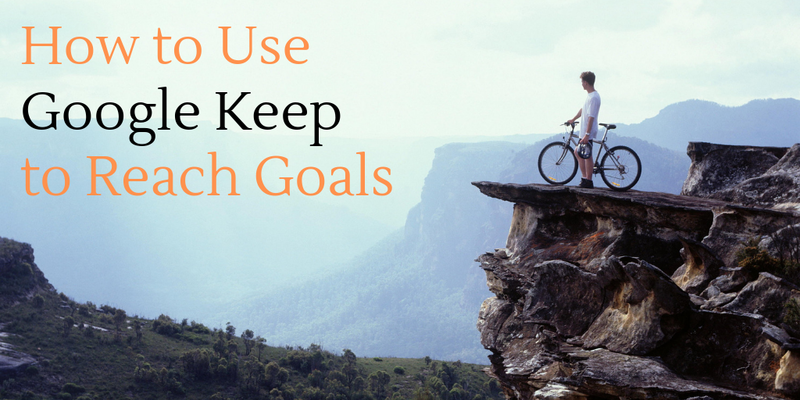 In the following video I demonstrate how to use Google Keep to set reminders that can help you reach your goals. Learn more about Google Keep in my upcoming course, Getting Going With G Suite.